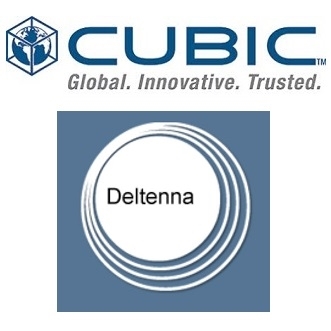 Cubic Corporation has announced the acquisition of Deltenna Limited (Deltenna), a wireless infrastructure company specializing in the design and delivery of radio and antenna communication solutions. The addition of Deltenna, headquartered in Chippenham, United Kingdom, will enhance Cubic’s tactical communication and training capabilities by effectively delivering high-capacity data networks within challenging and rigorous environments. Since 2002, Deltenna has developed a recognized reputation for its expertise in specialized applications of wireless communication technology including those for use by public safety and emergency response teams worldwide. It’s products incorporate enhanced Long Term Evolution (LTE)/4G technology to deliver fast data rates needed to meet the critical communications needs of Cubic’s customers. With the advancement of training and tactical technologies requiring high capacity data sharing, Deltenna offers fully expeditionary and integrated LTE solutions to support warfighters in every setting. Deltenna designs and manufactures cutting-edge integrated wireless products including compact LTE base stations, broadband range extenders for areas of poor coverage and rugged antennas, which are leaders in their class. It’s rugged antennas are small, light and ideal for rapid deployment in emergency situations. All products are based on the company’s extensive expertise in LTE, frequency re-banding and advanced antenna technologies. Deltenna currently has a portfolio of more than ten issued and pending patents in the fields of antennas and integrated wireless systems.